Dear Tammy: I’m getting a lot of calls from clients asking if there’s anything they can do to help the airport TSA workers who are still showing up for their jobs even though they’re not getting paid. Do you have any ideas for what they can do, or advice I can give them? Tammy: Great question. This is definitely a difficult time for all of the workers and contractors who are being affected by the current government shutdown, which is now officially the longest in history. While many workers are choosing to call in sick or even quitting to protest the shutdown, there are many more workers who are still showing up for their jobs. Workers who are still showing up for the jobs should be highly appreciated—and especially in the travel industry as this allows travelers to continue traveling! I recently heard from a friend of mine that works in the travel industry for a major wholesaler, and he came up with a brilliant idea. He went out and bought a whole bunch of Target store gift cards, in $5 denominations. While recently traveling through Tampa and Miami airports, he gave them to TSA checkpoint supervisors, who in turn promised to turn them in to get them passed out to TSA workers. This small act of kindness can really help out and if others consider doing the same, this could help make a difference—imagine going over a month without a paycheck. My friend came up with the idea because workers can’t accept cash tips from anyone (he tried that too). This being the case, he then figured out a work around—it was to give them gift cards! So, let your clients know that they can help the TSA workers who are still showing up every day by giving them gift cards in small and thus affordable denominations. 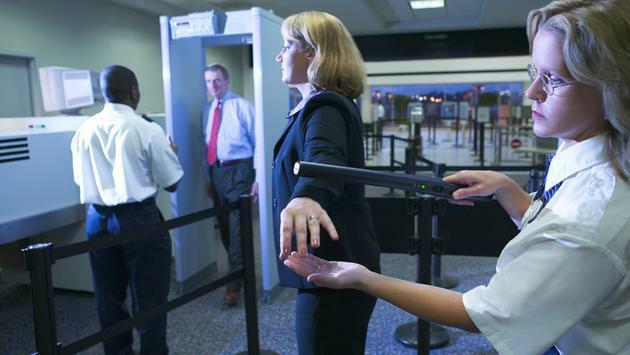 You can even give your clients the $5 or $10 to encourage them to help the TSA workers out during the government shutdown, a small price to pay.